Research into different types of infertility drugs, including Clomid (Clomiphene) and Femera (Letrozole), found that standard treatment resulted in more live births. It's rare to have an easy answer when it comes to understanding—and fixing—the causes of infertility. The medical community is continually working on ways to improve fertility options for women and couples, but a recent study found that a tried-and-true standard of treatment produced more live births than a newer option. 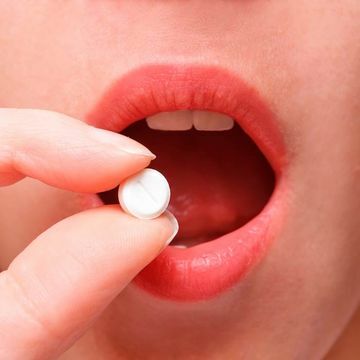 Scientists from the National Institutes of Health research network found that, in a study of 900 couples, Clomiphene treatment, or Clomid, ended with more births than a newer alternative, Letrozole, known by the brand name Femara. This research came after a previous study from the same network found that Letrozole resulted in more pregnancies in women with polycystic ovary syndrome. However, in the new study published in the New England Journal of Medicine, author Esther Eisenberg, M.D., from the fertility and infertility branch of the NIH's Eunice Kennedy Shriver National Institute of Child Health and Human Development (NICHD), said that "Letrozole treatment offered no advantages over clomiphene treatment" because even though women who went through the treatment had four times as many multiple pregnancies, women treated with Clomiphene had more live births. Both fertility treatments are designed to stimulate ovaries into releasing eggs, but using two different methods. Clomiphene prevents estrogen from binding to cells and triggers the pituitary gland to release an egg, while Letrozole prevents the production of estrogen, triggering the brain's hypothalamus and the pituitary to signal for an egg's release. A third common treatment with gonadotropins—the substances produced by the pituitary which cause the release of eggs from the ovary—was also used in the study, though Eisenberg said it's used less frequently in infertility treatments now because it brings a risk of multiple pregnancies that could result in premature deliveries and an increase in infant disability or death. For the study, the women, all between 18 and 40, were split into three random (but equal) groups where they were given Letrozole, Clomiphene or gonadotropins. Each went through the treatments for four menstrual cycles or until they became pregnant or stopped treatment, whichever came first. Of the three, 46.8 of women in the gonadotropin group conceived, compared with 35.7 percent in the Clomiphene group and 28.4 percent of the Letrozole. The gonadotropin also produced the most live births but produced the most multiples, while the Clomiphene group had the fewest multiple pregnancies. Taking out the gonadotropin (because of the risks involved) meant that the Clomiphene group had the most likelihood of successful births. Does that make Clomiphene the best infertility treatment? Not necessarily, according to the study author. "The choice of best medication to stimulate ovulation depends on the underlying diagnosis. If the cause of infertility is unexplained, then Clomiphene may be the most appropriate medication," Eisenberg tells Fit Pregnancy. "Yet, if the underlying cause of infertility is PCOS and anovulatory infertility, then Letrozole may be the most appropriate medication." Most importantly: "Women should have enough trust in their physicians to think that their doctor would recommend the best and most appropriate treatment so that they do not need to ask for specific treatments," she adds.